As some of you might have noticed, I make music as a hobbie. Of course, it's all via software, although I do have some hardware tools. But this post is about my top 5 favorite synths (at this time!). If you've heard one of my songs, the instruments were probably created with one of these. Although I use presets from time to time when i feel lazy, I'd say 95% of the time I create my sounds from scratch, which is a big part of the enjoyment I get from making music. So when I pick my favorite synths, how much fun I have working with them is a huge point I take in consideration. Sylenth 1 is an awesome soft synth because of how well it emulates a true analog synth. The sound is incredibly rich, and full of those analog imperfections that make your instruments sound organic and fat. I don't think there's any other synth that ever comes close to the fidelity of the sound coming out of this thing. It's also got some awesome presets for those who want to work quickly, and its also pretty cool to work with too! Such a simple name, such a simple interface, and yet SO MUCH AWESOMENESS!. This humble softsynth, made by a fellow named Ichiro Toda, emulates the sound of old analog synths like the Nord lead and the Juno so well, it's just a must have if you want to make old school electronica and make it sound true. I've literally made entire songs using ONLY this (like some of my Italo-Disco Remixes). It's a really great synth, and you can also use it for other purposes outside of just old school sounds, I can get some really warm pads out of this one. Another great thing about this one: it's completely Free! For another great old school-style soft synth check out the Tal-U-No-62, which I also use pretty often. The SubTractor is one of the synths that are native to Reason. Actually the first synth in reason, it's incredibly simple, yet you can get SO MUCH out of it. 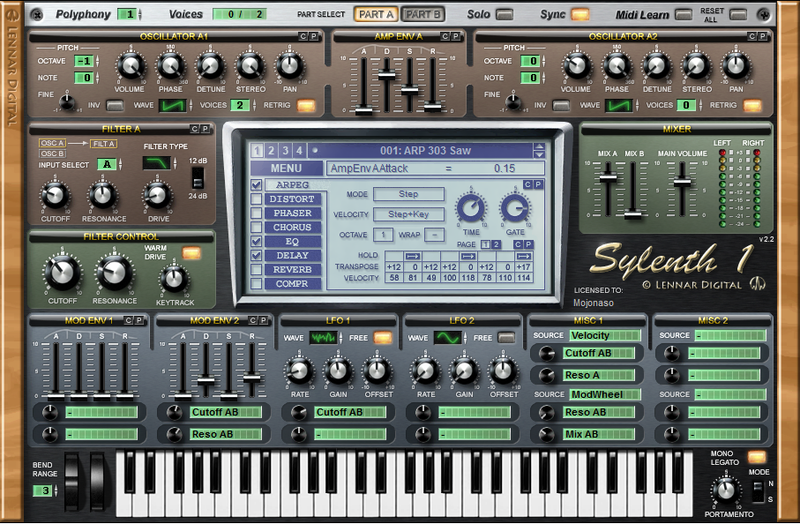 Until recent versions of Reason this was my main go-to synth. What I love about SubTractor is its simplicity, 2 oscillators, 2 filters, a couple of LFOs and envelopes. But once you start fiddling with it you realize how rich the sound can be. One SubTractor alone maybe won't blow your socks off, but due to how Reason can route everything, you can start layering them, and then you start hearing the amazing stuff. It has tons of ase waves you can use on your oscillator, which can give you a wide range of sound. SubTractor might not be as versatile as other synths but it's one synth I know by heart. I know what sound I can get out of it and exactly what to do to get it. It's a great synth if you're learning how to create your own sounds too. There's no other synth more appropiately named. This synth is just huge, it's so versatile, it's rich, it's probably the best soft synth out there. It's modular too, so you can link any parameter to anything. It's a beast and certainly not beginners friendly. But I fell in love with it since the first time I tried it. There's not much to else say about it, only that it can do everything you ever want and do it better than a bunch of other synths combined. If I had to use only 1 synth outside of Reason, it would be this one, because with a bit of work I could probably get the sound I wanted in my other synths, and with a bit of extra work, make it even better. The god of Thunder....ing sounds? Thor is Reason's powerhouse synth, and I love it. Like Massive, it's completely modular, you can pick different sound generators: from simple analog oscillators to wavetable oscillators, you can pick different filters in the routing chain, comb filters, low pass, Formant, anything you may need. and yet... its not as big or rich as massive. So why is it my favorite synth? Well for starters, in my opinion it's easier to use than Massive. 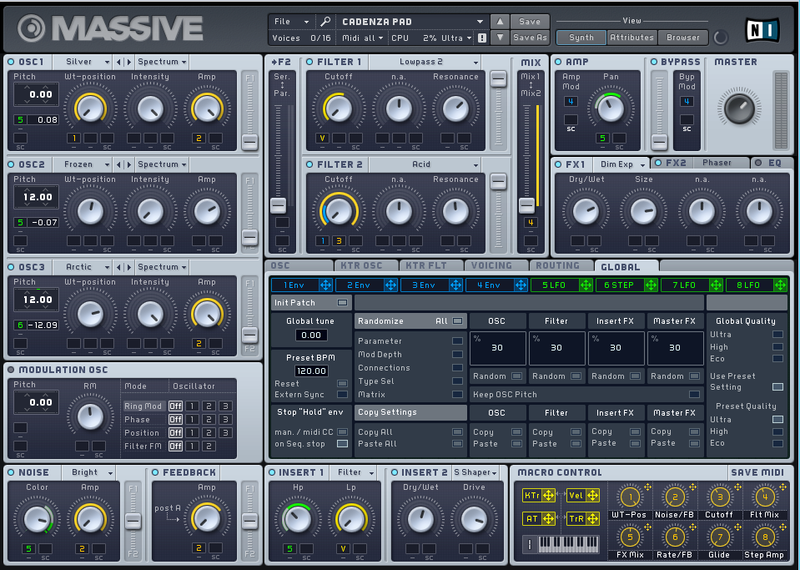 So although I can get bigger sounds from massive I like the workflow of thor a bit better. Then there's the fact that its a Reason machine, so I can modulate any parameter from outside using cv inputs. And finally, you can even use it to resample and reshape other sounds by using its audio inputs. Most people think that Reason synths are a bit limiting because they're inside of reason and you can't use VSTis like Massive in there, but I think it's quite the contrary. 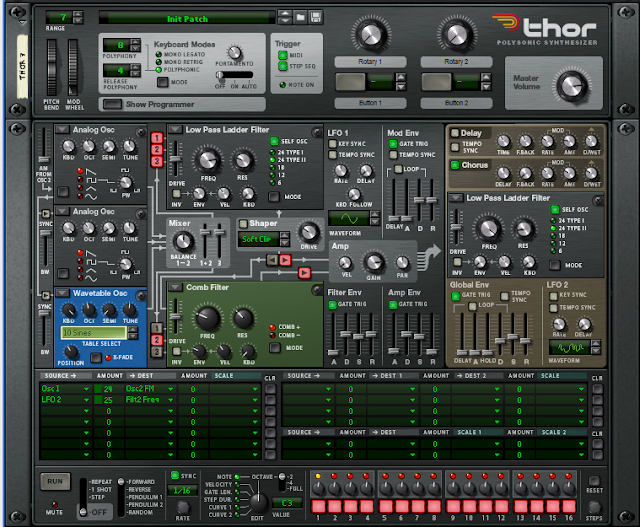 Because Reason emphasizes routing so much and so well, it empowers synths like Thor in ways that no other VSTi can. So that's a big part of what makes Thor so great in my eyes (and ears!). 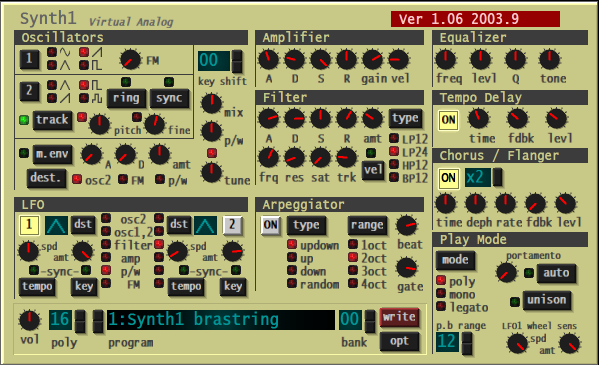 -Tal-U-No: An awesome free synth. Get it ASAP! -Tal Noisemaker: Another great sounding synth from TAL. Also Free! -Malstrom: Comes with reason, you can get tons of interesting sounds from it. -GTG JP-1: Similar to Synth1, sounds a bit more Raw, which is good sometimes! Also free. Thanks, I'm glad you enjoyed them and I hope they were helpful!